The outer circle equals approximately a 10 mile journey time. The middle circle equals approximately a 5 mile journey time. 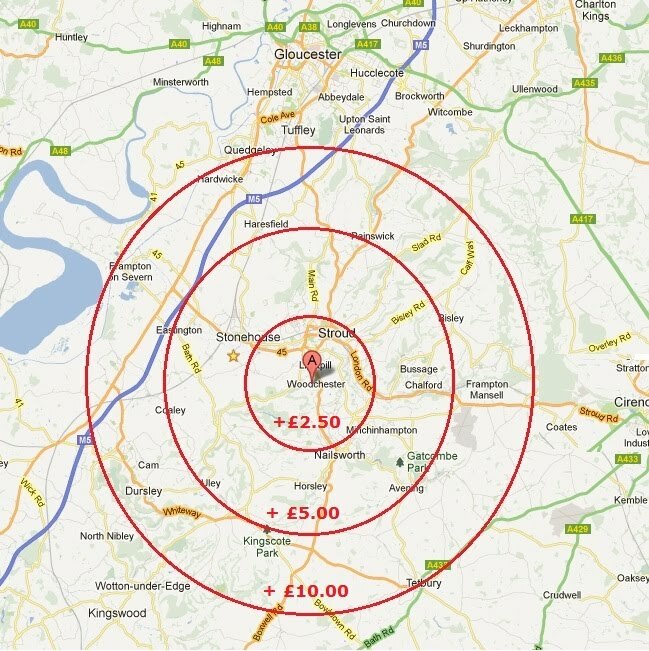 A guide to the extra cost for a tutor session to account for travelling times is given on the map below. Any area beyond the outer circle can be visited too.